I am a freelance writer and journalist with over ten years of work experience. In my freelance life, I have worked with international and Indian copywriting clients, including Reliance Digital. One of my first freelance clients was at age 26, an American writer/editor for whom I did a bit of ghostwriting. I purchased my first laptop from my freelance earnings from that gig and thought I was the queen of the world! I also write for Indian and international publications such as The Hindu, Business Standard, CNN Travel, Mint, Good Housekeeping, The National UAE, South China Morning Post, and more. 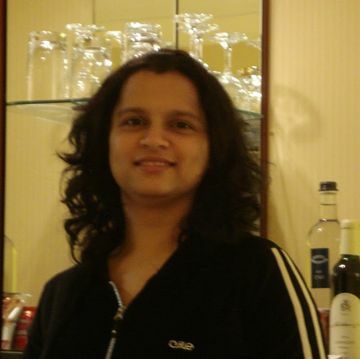 I have a master’s degree in management studies from the University of Mumbai, and have worked in the ‘Content’ field for seven years, in jobs including Team Lead in Instructional Design; Content Sourcing Manager for a Bangalore-based IPTV brand; and Senior Analyst at a Big 3 consulting firm. I chose to freelance after working fulltime for over eight years (with a few breaks in between), after my daughter was born. Despite being a freelancer, I think it's a daily thing -- trying to balance work with my responsibilities at home. Having said that, it's definitely easier for a freelancer to maintain some sort of equilibrium between work and life. And then of course, there's the Indian woman's best resource -- the Bai (maid)! Couldn't do without one, bless them all! I have one who cooks, cleans and looks after my kid for a couple of hours everyday. Most of all though, it really helps to have a husband who encourages me in my work and doubles and triples up as a sounding board, biggest fan and guide! As a freelancer what are the challenges that you face? Keeping up your motivation and taking rejection in your stride are definitely up there in the list of challenges. I think you have to have a bit of an adventurous and entrepreneurial bent of mind to survive as a freelancer. I've hunted for clients on my own, been praised for my work and been rejected, have written my own pitches to editors of newspapers and magazines. So yes, a bit of 'jugaad' is definitely needed. interviewed once told me, your family will only support you wholeheartedly if they really see you working hard and not just whiling away your time watching TV. That's so true!